It actually rained here in Southern California last weekend! for a fun weather proof style. in Italy done by the most dapper man I have ever seen. paired with white jeans and nautical stripes. 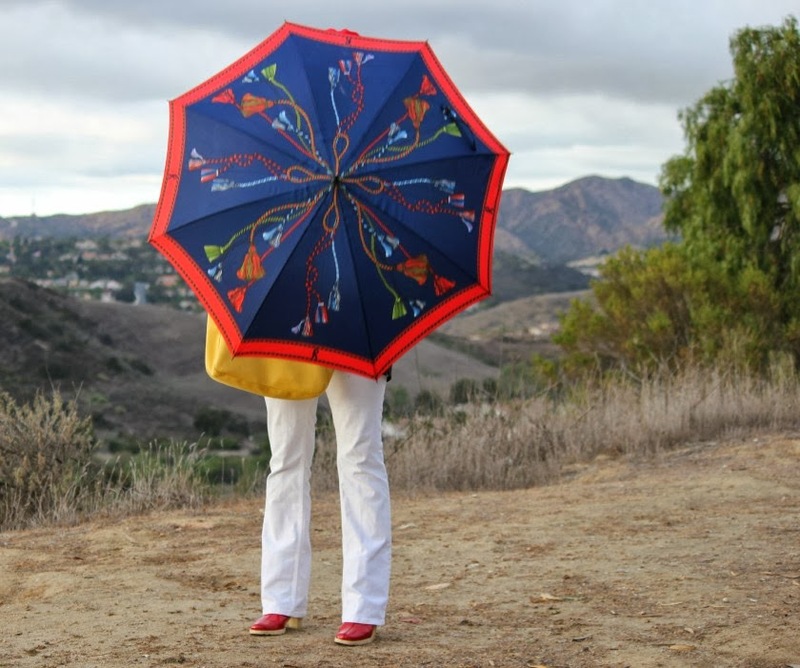 being able to actually use an umbrella! This is so much fun, Tamera! I love the styling, the colors...from beret to umbrella! Great job! I love rainy days and have for as long as I can remember. What else can make you appreciate having a roof over your head as much. Your colorful rain outfit is lovely. Tamera, we get a lot of rain here in Vancouver, and your post is a reminder that, no matter the weather, we can step out looking fresh and fashion forward. 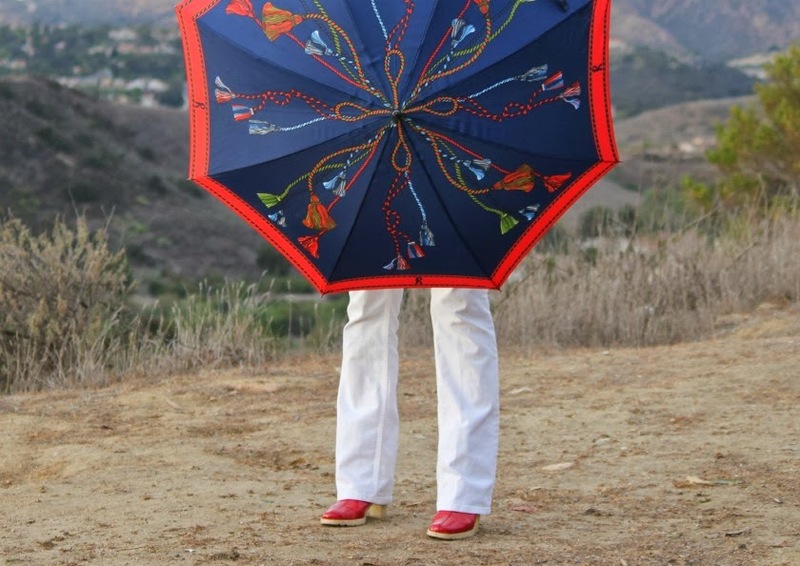 Nothing beats those red boots and bright umbrella! Well done! 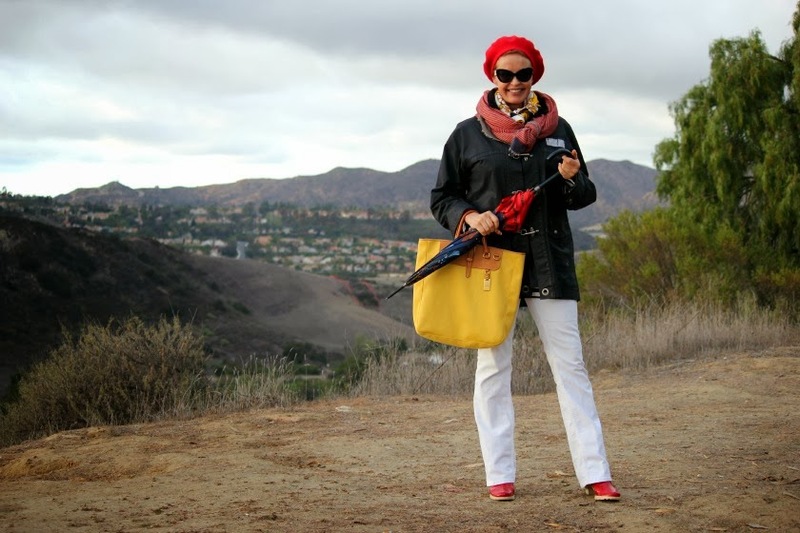 Oh we have been getting so much rain that I am weary of it...but I do love how you have styled your rainy day wear. I particularly like how fabulous you look in that cheery red beret....great double scarf trick and BTW you look glamourous as always! I am so happy when your posts pop up because I get to read your everyday joys. Love the colors, my nautically clad friend! We'd dress our children for the rain and celebrate with boot stomping in the street. Now's our turn, too!